What is the cost of the exclusive buyer’s representation? Yes there is absolutely NO COST to buyers for this VIP service. The seller pays all the sales commissions and associated fees. What is a buyer contract or agreement? This is a signed agreement documenting our decision to work together to find you a home or investment property. Buyers have found it so beneficial, that they typically complete and return it virtually instantaneously. With this agreement, I am able to work directly with a limited number of valued clients. By focusing on these clients, I can provide them with the ultimate level of service. Once we have an agreement, there is no stopping my bottomless determination to find you your next property, no matter how challenging the search is, how difficult the negotiations become, or how robust the paperwork gets, I will not stop until we get you an amazing property. Every day great real estate deals hit the market. With a broad bilingual network, I am among the first to see them. Call me today at 778-688-7011, and I will share suitable options that match your needs and wants. We may even be able to get you in first to tour the properties, and beat everyone else to the bid. Don’t wait. The best deals disappear quickly. Having developed a deep love for my community, I have quickly become a dominant force in the industry. Contact me, we can set up a time for me to share my years of sales knowledge and understanding of the Vancouver, Canada and Mexico markets. We can even discuss how I can help make your next purchase a success. Find your perfect homes and contact me at 778-688-7011 to coordinate showings. Every client is a VIP to me, I will make the time to sit with you, listen to your wants, discuss your situation and timeline for purchasing, and fully understand your every real estate desire. I am not here to make a sale today. I am here to make a customer for life. I will work tirelessly to get you the best price, most beneficial terms, and quickest close possible on your next property. I am devoted to serving your real estate needs in Langley, Surrey, South Surrey, White Rock, and the Vancouver regional area, which includes keeping you abreast of all the newest trends and listings in the areas. Clients choose me because I have personally purchased, renovated, and sold countless properties, so I truly do understand how you feel. They enjoy how I provide them full access to area homes, even those not yet on the MLS, and guide them through the purchasing process with expertise, patience, and professionalism. I have been their real estate specialist because I provide world-class customer care and treat every buyer as family. I was recommended to Antonio Vargas through a dear friend. I found Antonio Vargas to be very knowledgeable on home values, locations, houses, investments opportunities for the future, and up coming new areas. Antonio was very professional, answered all my questions and went above and beyond on searching for my first home for my family. Even in this seller market Antonio managed to squeeze a good deal. I will 100% use Antonio Vargas again. If you want to be blown away, use Antonio Vargas he will impress you with his motivation, knowledge and go getter skills. I want to thank you Antonio Vargas for going on this journey and helping me purchase my first home. 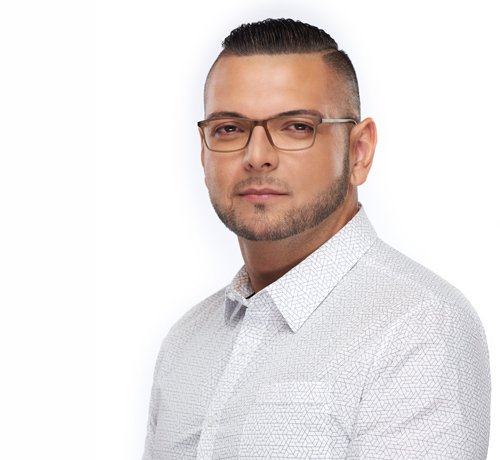 Antonio is an agent you can trust to always be there to answer your questions, while taking extra steps to make sure the selling process is anxiety-free as possible. His hard work and knowledge (even helped with staging tips) really paid off. I consider Antonio a friend and highly recommend him for best results.